Hong Kong is the latest region in which dual world champion Frankel will be able to extend his influence, as his sons Senator and Seven Heavens have been sold to continue their racing careers there. Cheveley Park Stud homebred Senator was trained by Richard Fahey to win two races over 6f as a two-year-old. The three-year-old was last seen finishing sixth behind Bless Him in the Britannia Stakes at Royal Ascot. Seven Heavens, who was bred by Cheveley Park and bought by Juddmonte for 620,000gns as a yearling at Tattersalls in 2015, was a dual winner as a juvenile for John Gosden. With seven career starts to his name, he was beaten three-quarters of a length into second by Solomon's Bay in the Surrey Stakes last month. Alastair Donald, who brokered the deals on behalf of unnamed clients, said: "When you're buying horses for Hong Kong the pedigree doesn't matter as much, as you're buying on race record. "These two just happened to be by Frankel - and that was an added bonus. The Britannia is a successful race for Hong Kong as it's a competitive field. Seven Heavens was a Listed-class sprinter and miler who will be suited by the fast pace in the country. "From what I gather they will be the first Frankels over there, and it's always good for sires to have talented horses around the world these days. He's clearly a top-class stallion." Senator is set to join Tony Millard's stable while Seven Heavens will now be trained by Caspar Fownes. Since Frankel's first crop hit the track last year the son of Galileo has been represented by winners in the US, Argentina, Chile and Japan as well as his European scorers. His progeny are headed by Japanese Grade 1 heroine Soul Stirring, whose owner Teruya Yoshida revealed could be set for a European campaign in 2018. Senator and Seven Heavens are not the only progeny by the Banstead Manor-based sire to travel to new shores as Cunco - Frankel's first winner with his debut runner - has recently joined Chad Brown's stable in the US from John Gosden. 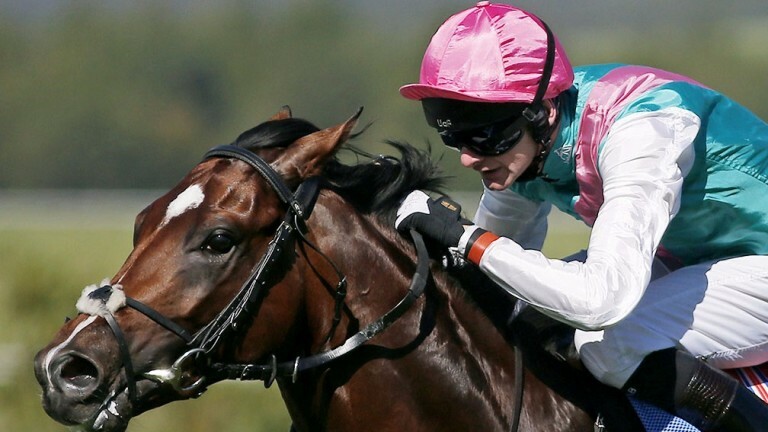 Can Frankel and Midday deliver again with Compiegne debutante Daytime?